Enjoy the most luxurious self-catering holiday experience with Cameron Lodges. Our Holiday Lodges in Loch Lomond, Scotland provide luxury accommodation within the world-renowned five-star Cameron House resort & the Carrick Estate. 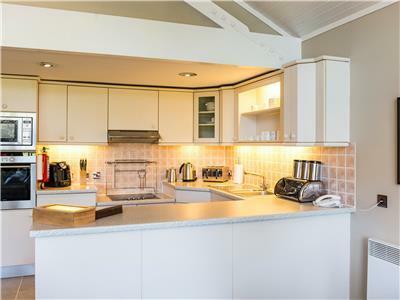 Offering a variety of detached and terraced luxury lodges, cottages and apartments, Cameron Lodges are suitable for short holiday breaks and weekly rentals. 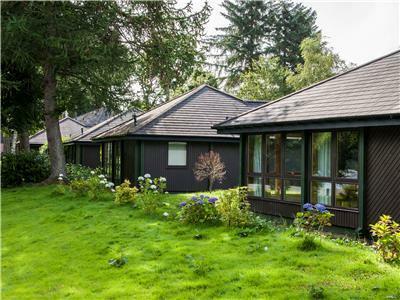 From one bedroom bungalows, perfect for couples or small families, up to luxury three bedroom cottages and larger four bedroom luxury lodges which accommodate up to 8 people, there is a lodge type to suit every group size here in Loch Lomond, Scotland. At our truly unique location nestled in the heart of the beautiful Scottish countryside, we have a range of luxurious holiday accommodation options. 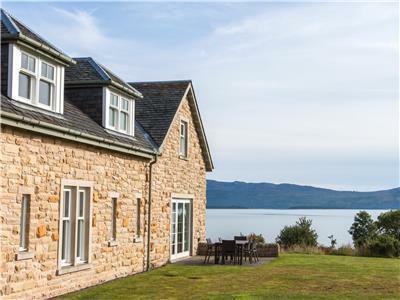 This includes panoramic views of the spectacular Loch Lomond scenery and also private balcony and terrace areas that are suitable for larger parties and special celebrations. Each are equipped with a variety of mod cons, including large TVs (with a selection of on-demand movies), Wi-Fi and Tassimo Pod Coffee Machines. Perfect for families, groups or couples, there are a range of holiday amenities available to guests here in Loch Lomond, including one of the UK’s most sought after golf courses, The Carrick, various activities such as clay pigeon shooting and pony trekking as well as the award-winning Spa at Cameron House. The Spa offers a range of Luxury ESPA and Carita treatments as well as a Hydrotherapy pool, a complete Thermal Experience, Beauty Bar and Rooftop Infinity Pool. A host of dining options are also available within the Cameron House resort, such as The Claret Jug Restaurant & Bar and The Boat House Restaurant & Bar. 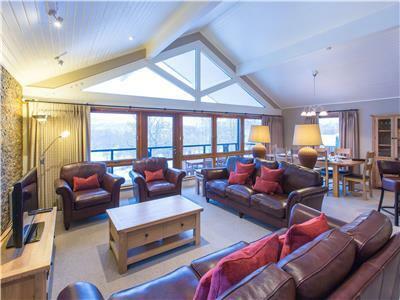 Come and enjoy an unforgettable luxury holiday experience at the Cameron Lodges accommodation in Loch Lomond, Scotland, with our range of cottages, apartments and lodges. Cameron House Lodges in Loch Lomond provide the perfect setting for a holiday break on the banks of Loch Lomond where you can truly relax and enjoy the tranquillity of Scottish countryside. We offer an exceptional range of one, two, three and four-bedroom self-catering holiday lodges to rent below that offer home comforts, privacy and luxury. Our luxury lodges are dispersed throughout the Cameron House Estate with beautiful views overlooking the banks of Loch Lomond and The Wee Demon golf course. All lodges are bright, spacious and beautifully designed with contemporary décor and equipped with the latest mod cons. Make ever-lasting memories on your lodge break within one of our luxurious holiday homes where you can explore the Scottish countryside during the day and retreat into a snug lodge in the evening. The Boathouse Restaurant is within walking distance of all Cameron House Lodges where you can appreciate the serenity of Loch Lomond whilst indulging on al fresco dining during the warmer months or sit inside our New England themed restaurant. Located at The Carrick Estate and only a shuttle service away, lies The Claret Jug restaurant where you can indulge in all day dining or escape into our spa sanctuary which includes an award-winning rooftop infinity pool which overlooks the Championship Golf Course. With the most picturesque setting for a relaxing lodge break, Cameron House Lodges are perfect for family holidays, celebrations, long weekends, mid-week breaks or a couple’s romantic getaway. Our accommodation caters for all group sizes and we are assured you will find a luxury holiday property to rent that meets your every desire amongst our Cameron House Lodges. 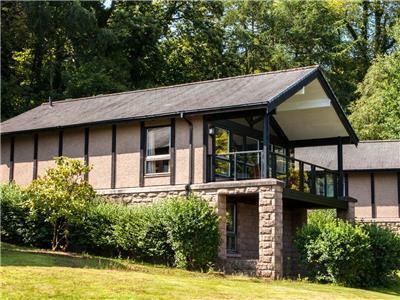 Make your holiday perfect by renting an idyllic lodge, apartment or cottage by the banks of Loch Lomond with Cameron Lodges. We have a fantastic selection of large self-catering holiday homes below to rent in a picturesque, countryside location. Located throughout The Carrick resort, our exceptionally spacious lodge accommodation offers spectacular views of Loch Lomond and the surrounding areas. Treasure the memories of your lodge break in one of our hand-selected, large holiday lodges and make it an unforgettable experience. With our free shuttle service, it's very easy to get to and from the Wee Demon Golf Course and The Boat House Restaurant & Bar, where you can refuel with either a light bite or a hearty meal to keep you going.The Cameron Club resort also has an award-winning Spa on the grounds, which includes a rooftop infinity pool, as well as the Championship Carrick Golf course. Accommodation options range from the stylish 2 bedroom Coach House to cosy 4 bedroom lodges, each with a stylish and sumptuous décor. Also included are state-of-the-art kitchens, the latest mod-cons and wonderful extras in some properties, such as quaint patio areas for al fresco dining. With a wide range of options, Cameron Club Lodges are perfect for family holidays, escapes, celebrations or midweek breaks. Ideal for couples, groups or for those simply seeking peaceful relaxation or a change of scenery to catch up friends and family. We’re confident our selection of luxury properties will have exactly what you're looking for. 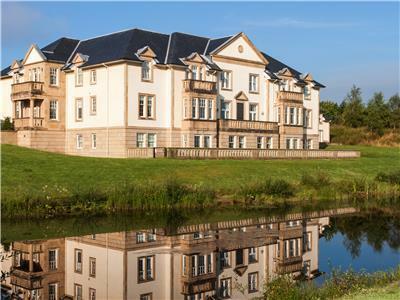 Cameron Club Mansion House apartments in Loch Lomond will allow you to truly unwind and relax and make the most of your time away. 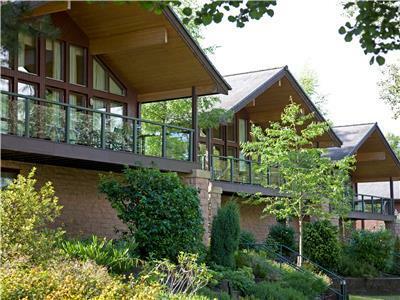 We have a range of luxury two bedroom holiday apartments available to rent here at Cameron Lodges in Loch Lomond. You can make the most of the unique atmosphere at our countryside location. Our luxury apartments are perfect for families, couples or groups who are looking for a change of scenery to enjoy some time away from everything. Set in the most secluded of locations, just a short drive away from Glasgow, our resort is perfect for a break, with stunning views of the spectacular Scottish landscape. Our accommodation includes the most luxurious décor with fittings and features of the highest standard. With each property fully equipped with the latest mod cons, our holiday apartments offer the privacy of home with state-of-the-art kitchens, large dining / lounge areas and patio areas for al fresco dining. Each apartment has 2 bedrooms, which can sleep up to 5 people. Perfect for short and slightly longer breaks, there are also five star holiday facilities for guests. These include an award-winning spa with a rooftop infinity pool and the relaxing Thermal Experience as well as steam rooms. With our dining options, rest assured you’ll be enjoying some fine dining while being surrounded by stunning views of Loch Lomond. If you are looking for activities to take part in then you have a wide range to choose from at the resort, including loch cruises and clay pigeon shooting – all set within the surrounding area. Guests staying in the Mansion House apartments can also take full advantage of the Thermal Experience at the award-winning Spa at Cameron House (formerly the Carrick Spa), which includes hydrotherapy and relaxation pools, saunas and steam rooms, and the rooftop infinity pool. If you haven’t already booked somewhere for a break this year and want to get away from the stresses of everyday life and relax in pure luxury, then book now and don’t miss out. Browse our range of luxury two bedroom holiday apartments to find the perfect escape for you and your family. There is a wide selection of luxury one bedroom holiday lodges at the Cameron House estate for guests to choose from. With stunning views across the estate grounds, a night in one of our luxury lodges gives you more than just a good night's rest. Whether you are looking for a family break or a romantic retreat, the picturesque views of our cherished Scottish highland landscapes and peaceful surroundings will suit all types of getaways. 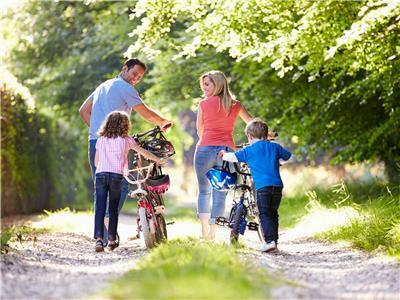 Our holiday lodges provide a perfect base from which to explore Loch Lomond and The Trossachs. Local attractions include Glengoyne whisky distillery, Ben Lomond and Stirling Castle, while Glasgow City Centre and its host of tourist attractions is only a short drive or train journey away. Within the resort, we have spectacular dining options. From casual lochside dining at the New England style Boat House Restaurant & Bar to some classic fine dining at The Claret Jug Restaurant & Bar, there is something to suit every palate. A short journey from the lodges at Cameron House Estate lies our award-winning Spa and The Carrick Golf Course. A complimentary shuttle service runs daily. Our holiday lodges have been fully refurbished, designed to the highest standard for your comfort, while all lodges feature the latest mod cons so your holiday home feels like a home from home. Browse our range of luxury one bedroom lodges below to find the perfect escape for you and your family or friends in Loch Lomond. 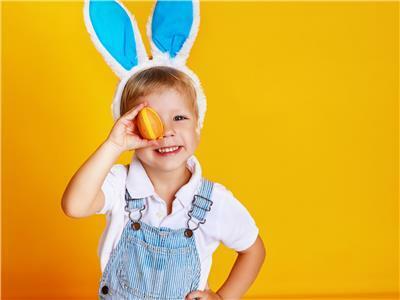 Get 10% off your Easter break at Cameron Lodges + Kids Eat Free! What's more, the Easter Bunny will leave you a little gift in your lodge! Book your summer break before 4th May and get 15% off plus, explore Loch Lomond with free mountain bike hire for up to four people.